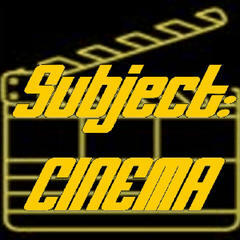 One more week without Subject:CINEMA! I know, I know…but Kim and I are dealing with a bunch of issues right now, health related stuff as well as some stuff still relating to my Mom’s passing in May, and we are only just getting back into the game after four weeks of hell. SC will return next Sunday 8/19, with two more fest shows – the final part of our Boston Springs A Fethival series, then a recap of summer and fall festivals. It will be followed by the 2018 SC Rising Stars List show on Monday September 3, then our Fall Preview Show on September 9. ALL other PNRNetworks shows will be back up and running later this week – and welcome back to Cavebabble as well, who have been away for awhile! Thanks, and we’ll talk to you soon!